Our Guru's recommendations for the best places to stay in Victoria are dotted all over the state, from the heart of Melbourne to the middle of nowhere. State capital and unmissably cool city, Melbourne is a hub for visitors. It is perfectly summed up by its most famous annual event: The Melbourne Cup, a day of hedonistic appreciation for the finer things, all done with an easy, classy charm. 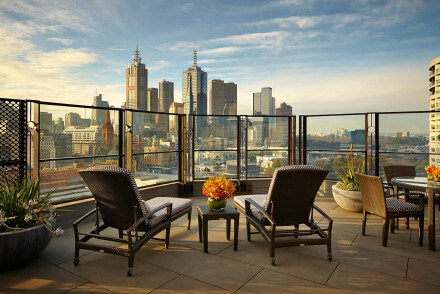 Melbourne's reputation for quality and finish and its weather, culture and atmosphere are more stylishly European than you'll find elsewhere in Australia. But don't expect stuffy suits and silver service, Melbourne is more about cool cats, foodie haunts and folk with a nose for their coffee. 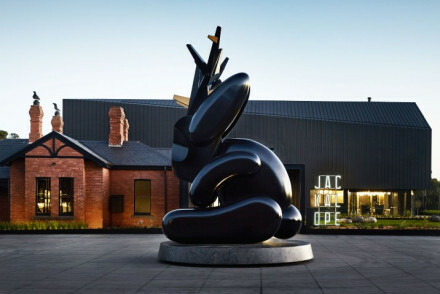 Close to the wine region of the Yarra Valley, Melbourne takes wine and food seriously. The centre of town has recently sprouted a collection of new rooftop bars and alleyway eateries converted from once industrial buildings. Melbourne's architecture was built on the back of the gold rush, as were many of the country towns surrounding the city, so there's quite a bit of grandeur around. 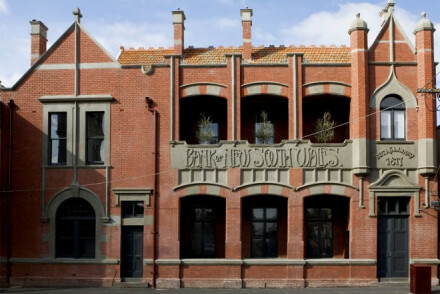 Many of these lovely buildings have been turned into luxurious hotels or galleries. 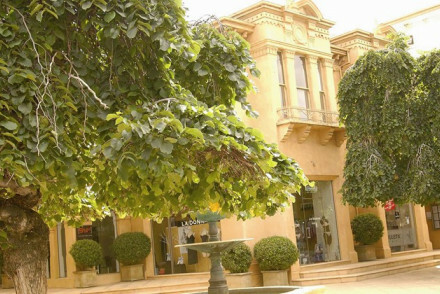 The largest gold towns have survived, along with some of the Murray River charmers famous for riverboat culture, and these towns are awash with interesting history. Outside the cities and towns you'll find the wonders of the Great Ocean Road to the south, to the east are the Dandenong Ranges, just 35kms from Melbourne, then there's the Snowy River with its huge forest of gums, then the High Country. 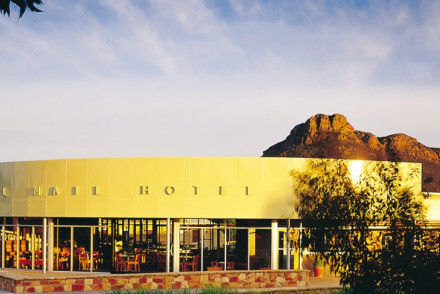 Northwards is the outback dotted with national parks, like the Grampians and the bare Mallee. 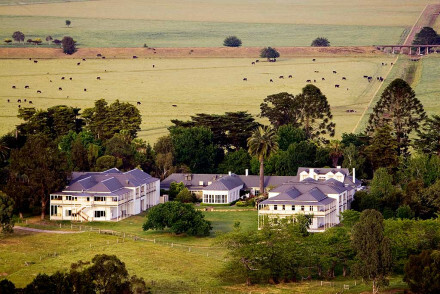 Our pick of the best places to stay in Victoria range from hip, boutique city offerings in Melbourne (some of which are excellent value for money too), to five star luxury in the heart of the winelands. 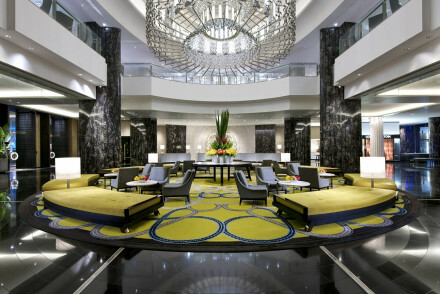 Crown Towers occupies the other end of the Southbank, closer to the Docklands, but you're still perfectly located and the views, from generous sized rooms and the rooftop gardens, are incredible. 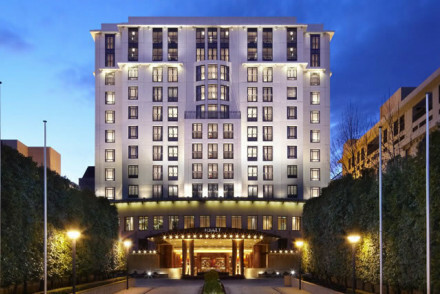 The Park Hyatt is a Melbourne classic, offering traditional five star luxury, right by St. Patrick's Cathedral and the Victoria Markets. 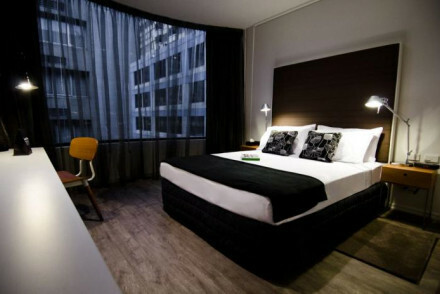 Ovolo Laneways is right in the heart of the central business district, close to some of Melbourne's best bars, cafes and restaurants and a short walk from Federation Square. This hundred room hotel is also great value, with rooms, and complimentary breakfasts, starting at £128 per night. 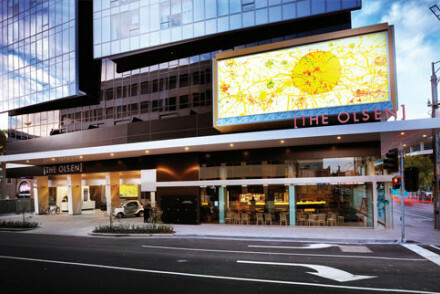 The Olsen in South Yarra is a modern hotel in a great spot - especially for local dining. 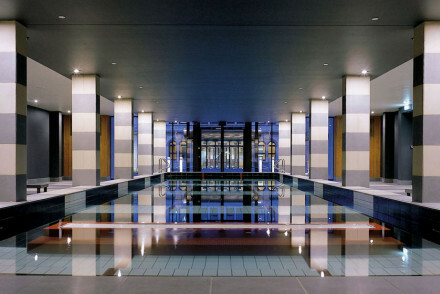 It boasts comfortable rooms and great facilities, including a glass-bottomed swimming pool, spa and gym. 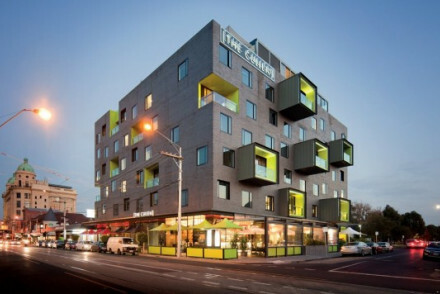 Quirky, colourful The Cullen is just opposite Prahran Market and Chapel St., a great value place for lone travellers or those with families - there are family suites with their own kitchenettes and they offer a free pram hire and babysitting service. They'll also rent you a bike. And the walls are covered in art by Adam Cullen. 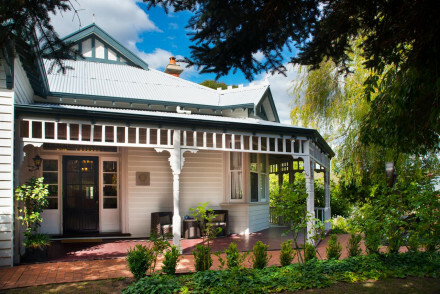 Mollisons is a charming, seven room, boutique hotel in Kyneton, a country town about an hour from Melbourne. 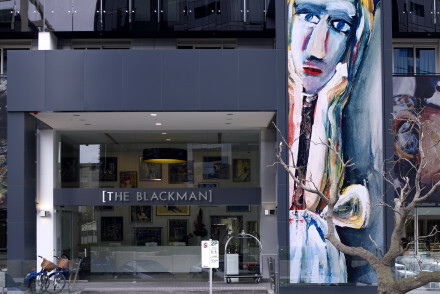 This is a great place for those with an eye for design - especially seeing as every item in the hotel is for sale. Big Blue Backyard is a collection of three, hand made cabin hideaways just by St. Andrew's Beach on the Mornington Peninsula. Each has its own private deck and spa bath and each has been loving crafted with local materials. There's no restaurant but the owner/operators will happily do the cooking for you. 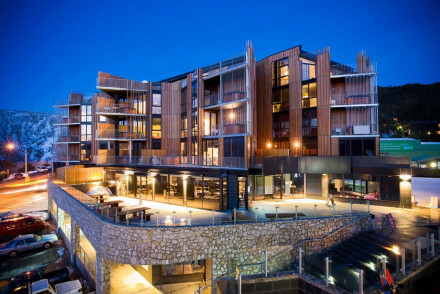 QT Falls Creek in Falls Creek, is a luxurious collection of one, two and three bedroom self catering apartments right at the foot of the ski resort. A number of the apartments have views over the ski fields and some have private hot tubs too. In summer this is a great area for walkers. For those looking for some additional privacy, we recommend visiting our online partner Booking.com. The main airport hub in Victoria is Melbourne. Victoria is a great region for a road trip, so why not look at our online car hire partner Rentalcars. Visit Victoria in the autumn (March to May) when the temperatures are pleasant, wine is in season and countryside is at its finest. A range of accommodation available 2 km from the picturesque country town of Dunkeld, including rooms, self-catering apartments, an outdoor pool and a house sleeping up to 11 people. Perfect for groups, families and those wishing to explore the stunning Grampian National Park. 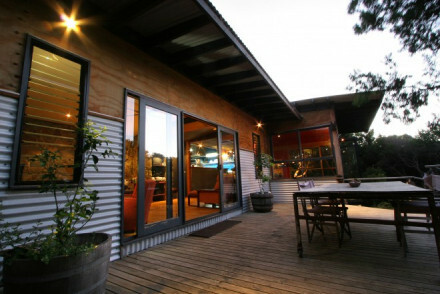 Luxury 1, 2 and 3 bedroom self-catering apartments located at the foot of Falls Creek ski resort. Some have private hot tubs with views out over the balcony to the white ski fields beyond. Much needed sauna, steam room, spa and indoor heated swimming pool. Fabulous trekking and walks in the summer. 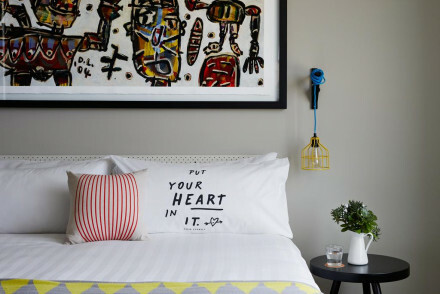 This boutique hotel in country town Kyneton, an hour from Melbourne, is an interior designer's heaven, with elegant rooms and tasteful fittings. Every item in the hotel is for sale in the boutique downstairs. 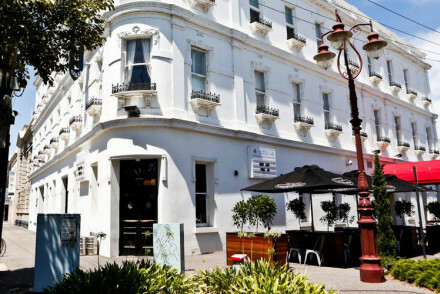 Minutes walk from Piper Street's lively cafes, restaurants and bars. 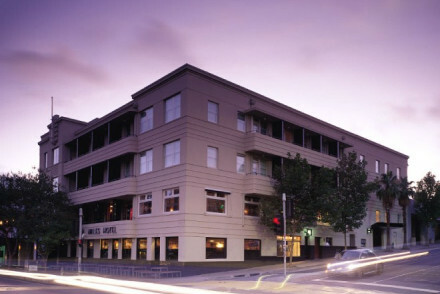 Set in the heart of Daylesford, this hotel has a lot to offer. Fabulously designed bedrooms, a choice of two lively restaurants and the Endota Day Spa. 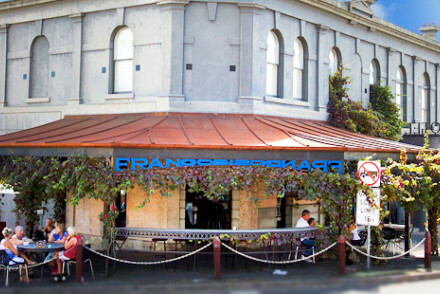 The owners have poured their passions into Frangos to make it truly welcoming and completely unique. 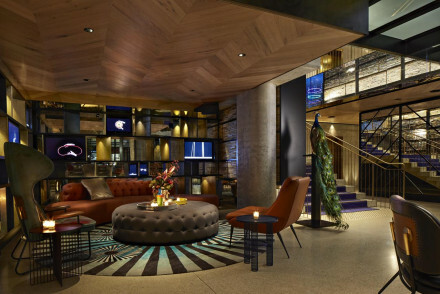 Unwind in this stylish hotel. 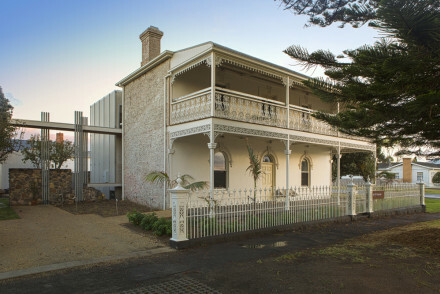 A boutique hotel on the beach of Port Fairy. Tastefully slick individual suites with marble bathrooms, kitchens and dining areas. Some have views over the Moyne river. Explore the stunning Great Ocean Road from here, or just relax by the pool. Five star luxury in heritage listed Victorian manor in the heart of wine region the Yarra Valley only one hour from Melbourne. 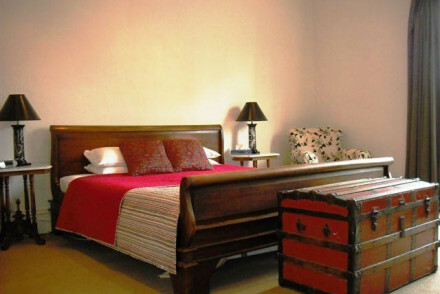 Original features and antiques in rooms, extensive gardens and 24 hour room service. 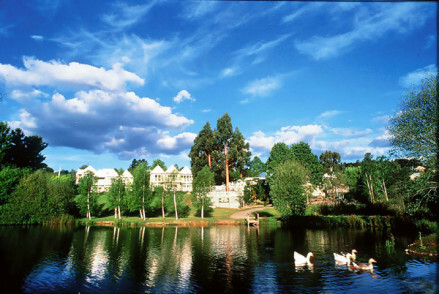 Waterfront rooms and suites set on six acres around Daylesford Lake. Great walks and birdwatching on property, and close proximity to world famous mineral springs. Award winning restaurant serving regional cuisine. Family friendly. Three family owned unique hideaways by St Andrews Beach. Star studded night sky, pure escapism. Each cabin comes with private deck, delicious crisp white cotton and spa bath. Fresh local food, home cooking and attentive service. Perfect for couples and romantic getaways. A relaxing boutique retreat nestled in the rolling hills of Daylesford, the land of mineral springs and wellness. Elegant rooms mix contemporary and classical styles to great effect. Delicious breakfasts comprise of fresh, local ingredients. A rejuvenating stay. Set in its own 12-acre vineyard this is a trendy foodie base in idyllic rolling hills. By no means your run of the mill rural escape, this is a cutting-edge contemporary spot, that has got it all right. Farm-to-fork cuisine, sharply designed interiors and spectacular views. Rural perfection.